Stirling Properties’ Asset & Property Management Team has recently been awarded management contracts for several new retail and office properties, further expanding the company’s commercial portfolio and regional footprint. Lakeview Village II & III are adjacent neighborhood retail inline centers located at 3586/3516 Sangani Boulevard in D’Iberville, MS. Combined they are comprised of 65,860 square feet of retail and restaurant options. 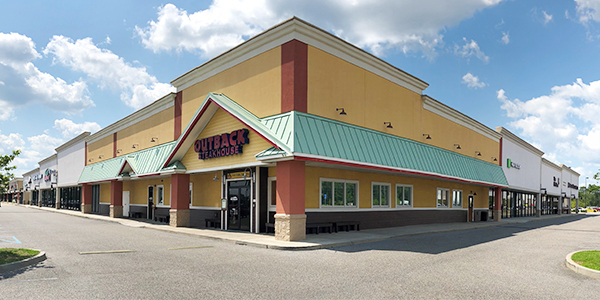 Shadow-anchored by Academy Sports + Outdoors, the property is currently 62% occupied by a mix of national and local tenants including Outback Steakhouse, H&R Block, The UPS Store, and Sherwin Williams. Lakeview Village II & III are located in a 150-acre master planned, mixed-use retail development that spans the entire northern side of the Interstate 10/Interstate 110 interchange. Prominent national retailers near the development include Walmart, Target, Best Buy, Lowe’s, PetSmart, Marshalls, Michaels, and Kohl’s. Stirling Properties will also handle leasing of both centers. For leasing information, contact Angie McArthur. 5041 Bayou Boulevard is a three-story, class-A office building located in the Cordova Corridor of Pensacola, FL. Its primary tenant is Bank of America. The multi-tenant office building consists of 24,796 total leasable square footage and is strategically positioned near Cordova Mall, Sacred Heart Health System, and Pensacola International Airport. Stirling Properties will handle full-service management and accounting for the property. 401 E. Chase Street is a single-story, multi-tenant office building located in Pensacola, FL. 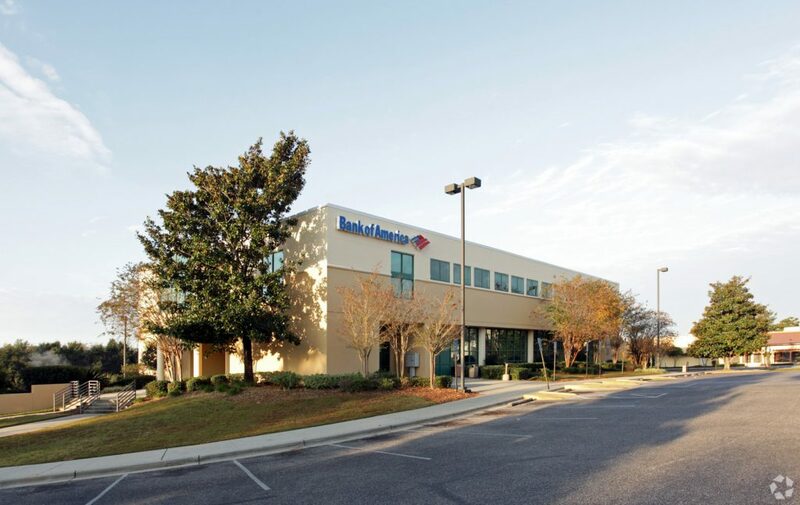 This 11,744-square-foot office building is located on the eastern edge of downtown Pensacola, within walking distance of Pensacola Bay, numerous restaurants, hotels, and the Pensacola Civic Center. The property was recently renovated. Tenants include Baptist Home Health Care and Medical Records Express LLC. Stirling Properties will assume management and accounting services for the property. Stirling Properties has also been awarded management duties of the 3,033-square-foot former Arby’s restaurant space located at 800 North Navy Boulevard in Pensacola, FL. The building was recently acquired by a local investor that has contracted with Stirling Properties for property management services, including assistance in getting the property ready for future leasing opportunities. For leasing information, contact Angie McArthur. Downers Park Plaza is a 265,000-square-foot, class-A shopping center located in a regional retail corridor of the Downers Grove area of IL, part of the Chicago MSA. The center is anchored by Best Buy, T.J.Maxx, HomeGoods, Shop & Save Market, Old Navy, and Party City. It is currently 89% occupied. Megan Crossings is a 114,000-square-foot, class-A shopping center located in a regional corridor in the West St. Louis, MO, MSA. 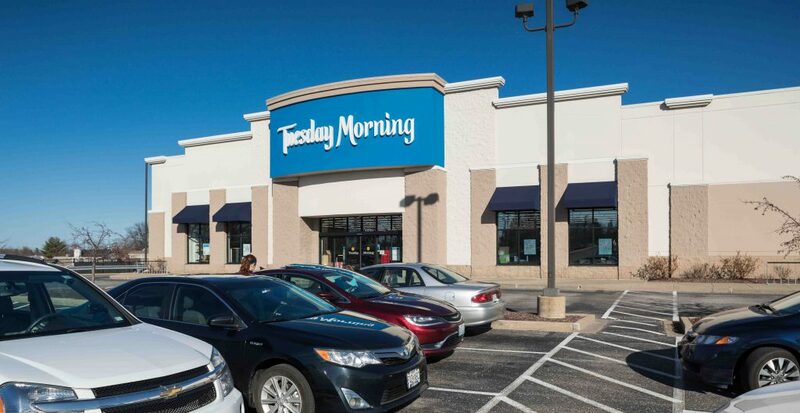 Anchored by Hobby Lobby, Tuesday Morning, La-Z-Boy Furniture, and Dollar Tree, the asset is 87% occupied. Stirling Properties manages more than 19.5 million square feet of commercial real estate, including office, retail, industrial, medical, residential, and mixed-uses.